Versatile talent with great range who came into his own during the 2017-18 school year…qualified for the 2017 NCAA Cross Country Championships as an individual…became just the third sub four-minute miler in program history during the indoor season…transitioned to the 3000m steeplechase outdoors, where he authored the No. 7 time in program history…prepares to close his career with eyes on NCAA Championships both indoors and outdoors. Cross Country: Competed in seven meets in his final season of eligibility on the trails…consistently ran in FSU’s top three…finished third overall at the FSU Invitational – the first of three meets as the teams’ top finisher – which earned him ACC Performer of the Week honors for the first time in his career…was top performer for the Noles at the loaded Wisconsin Invitational…posted career-best 29th-place finish at the ACC Championships…earned All-South Region honors for the first time in his career with an 11th-place finish, securing a trip to the NCAA Championships for the first time as an individual…placed 132nd at the NCAA Championships. Indoor: Competed in four meets, opening with the mile and DMR at the Razorback Invitational…career-breakthrough came at David Hemery Valentine Invitational, where he ran 3:59.37 mile to finish fifth, and ranks No. 3 all-time among Noles…advanced to the finals of the mile at the ACC Indoor Championships but did not score. Outdoor: Toed the line in seven meets, where he focused on the steeplechase…ran 5000m PB (14:07.77) at the Stanford Invitational to finish sixth…two weeks late logged second-fastest 1500 (3:45.04) of his career in second-place finish at Tiger Track Classic…made steeplechase debut at the Mt. SAC Relays where he ran 8:55.82; the No. 7 time in program history…lowered that time with a fourth-place finish at the ACC Championships (8:55.61) as the Noles finished off a season sweep of conference team titles…qualified for the NCAA East Preliminary meet and was 21st in the steeplechase. Cross Country: Saw action in six meets, including the ACC and NCAA South Region meets, where the junior produced career-best finishes…placed 30th overall and third on team at South Region (31:30.0, 10k)…was 33rd overall and third on team at ACC Championships (24:11.9, 8k). Indoors: Was a force in his first indoor season, highlighted by monster ACC Championships…anchored silver medal and school-record DMR (9:33.39) – 16th-best in NCAA – with 4:01 1600 split…followed up with fourth-place finish in mile, registering No. 3 mark in FSU history (4:03.00)…competed in five meets. Outdoors: Enjoyed finest spring season, capped by a run to second-round appearance at NCAA East in the 1500…scored his first ACC Outdoor Championships points by placing eighth in the 1500…breakthrough came at Stanford’s Cardinal Classic when his 1500 PB (3:43.70) moved him into FSU’s all-time top 10 at No. 8…dropped down to the 800 at Seminole Invitational and produced a PB (1:51.07). Cross Country: Was in the lineup for five meets, including the NCAA Championships after helping the Seminoles claim the NCAA South Region title, where he finished 31st as the top No. 6 runner in the field…finished 58th at the ACC Championships as FSU’s No. 5 runner. Indoor: Forced to sit out the season due to injury. 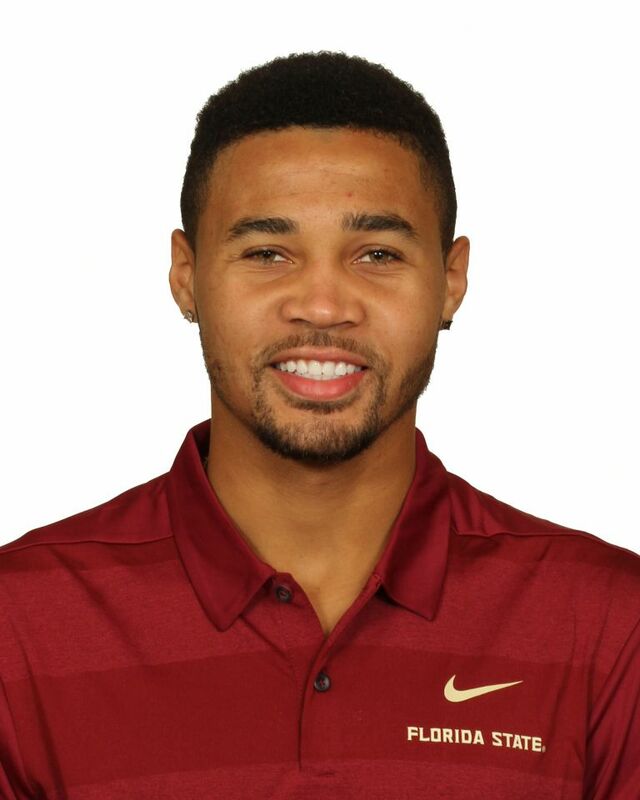 Outdoor: Made his track & field debut for the Noles at the Florida Relays in the 1500, which was the lone distance he competed in throughout the season…saw action in five meets highlighted by his personal-best 3:47.43 in the ACC Championships final, where he finished 10th after qualifying with a PB (3:48.38). Cross Country: Competed in six meets as a true freshman and was at his best during the championship portion of the year…was FSU’s No. 2 runner at the NCAA Championships, despite competing in just the second 10,000-meter cross country meet of his career…finished 32nd in his 10k debut and in the No. 4 spot for the Noles at the NCAA South Region meet at home, where FSU locked up an trip to the championship meet with a runner-up finish…in the lineup for the ACC Championships and also competed at FSU and Wisconsin Invitationals…made his collegiate debut at the Notre Dame Invitational and ran 24:48 in his first five mile race. Indoor and Outdoor: sat out as a redshirt while also dealing with an injury. Starred at St. Xavier in Cincinnati…was a three-time All-State selection in track and a two-time All-State performer in cross country…holds the school’s home 5k course record in cross country (15:25) and the fastest 5k cross country time (15:10)…is also the school record-holder in the 800 (1:51.69)…a four-time team MVP in cross country and track…was a member of the 2014 New Balance Nationals 4×800 championship quarter…among many service endeavors participated in Big Brothers as well as Hands Across America…outstanding athlete who also found time for football and basketball in high school…majoring in communications…heavily involved in community service through FSU’s Student Athlete Advisory Committee (SAAC) and Kappa Alpha Psi fraternity…born July 7, 1996.